Evanthia is a Senior Partner and founder of Stavropoulos & Partners Law Office, focusing particularly on EU and competition law, mergers and acquisitions, corporate and commercial law, real estate law, litigation and dispute resolution and banking and finance law. She worked in Brussels in the period 1983-1984 for a law firm specializing in EU law and she has more than 30 years of professional experience. From 1985 to 2009 she was also a member of the Legal Department of the Bank of Greece and deputy head of the Banking and Credit Issues Section. She has a client portfolio that includes national and multinational corporations, listed and privately owned, and institutional investors. She has extensive experience in assisting clients with setting up joint ventures, implementing corporate restructuring and acquisition projects. She has taken part in large-scale mergers and acquisitions projects, domestic and international share and asset transactions, local and cross-border mergers and post-merger integrations, advising on the full spectrum of issues in relation thereto, negotiating and drafting share purchase contracts, joint venture and shareholders agreements, advising on stock exchange and finance law aspects in mergers and acquisitions and corporate restructuring projects. Evanthia has acted (or still currently acts) as a general corporate counsel to financial institutions and multinationals in the industrial and services sectors. She has significant experience in modern finance methods and has dealt with many finance projects representing national and multinational companies and local credit institutions, investment firms and institutional investors. As member of the Legal Department of the Bank of Greece, Evanthia participated as expert in various groups and committees established by the European Institutions and also served as member of various legislative committees on banking and finance-related issues. Her role was instrumental in the preparation of all contractual and regulatory arrangements for the integration of Greece into the Eurosystem. 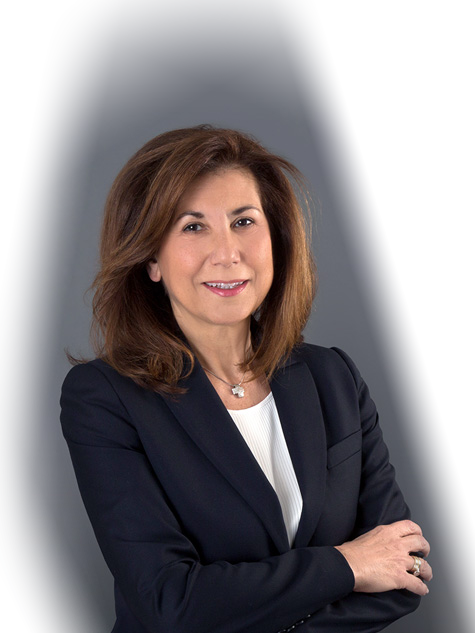 In real estate, she has been extensively involved in high-end development projects handling a variety of complex corporate, commercial and mergers and acquisitions-related real estate matters. She also has strong experience in litigation, arbitration and dispute resolution cases, with particular emphasis on the real estate field. Most recent assignments include handling of a multi-million dispute both at courts and in arbitration proceedings in the context of a construction contract for one of the biggest investments in the hotel business as well as counseling to a major real estate developer in a landmark mergers and acquisitions project. In EU law she advises on a broad range of issues and has considerable experience in this field. She has deep knowledge of EU and Greek competition law matters and has been engaged in substantial contentious and non-contentious cases in this area with most recent work highlight acting for a major multinational in the food and beverage sector in a case of alleged abuse of dominance. Evanthia will work deeply into the commercial heart of any agreement, and further she will exhaust any possible factor which needs to be taken into consideration by the Company. Evanthia identifies immediately any potential risk for the Company and knows how to assess the legal risk towards the commercial risk (if any). She has a high standard of understanding the Company’s needs and she has the strength to differentiate always for the benefit of the Company. Evanthia’ s advice goes beyond a pure and conventional legal advice to a business guidance. Article on "VAT on Bad Debts Case: A Good Paradigm"
Speech on "Practices of undertakings holding market power"
Speech on "EU Directive 2007/64, The recent developments under Community Law in Payment Services"
Speech on "The investments of Greek residents in the European Community and the East countries"